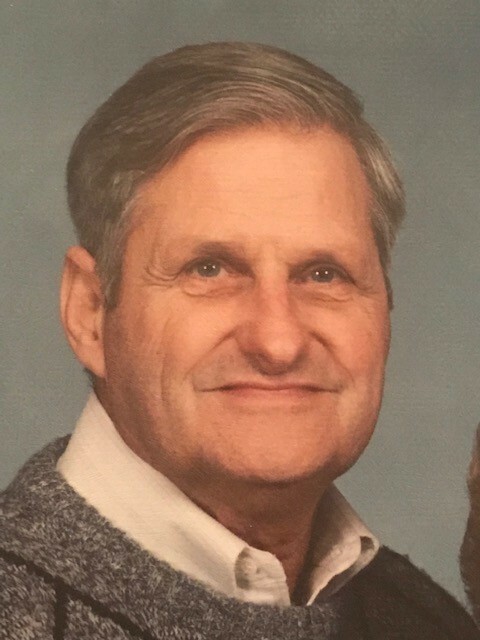 Charles W. "Chuck" Shuster, 92, of New Castle, died peacefully Thursday afternoon, April 11, 2019 at the Robley Rex VA Medical Center following a brief illness. He was born January 15, 1927 in Chillicothe, OH to the late Floyd and Golda Murphy Shuster. He is survived by his wife, Eleanor Shuster, daughter, Rebecca (Mitchell) Kennedy, of LaGrange; a sister, Marjorie (Roland) Bashore of Dublin, OH; grandchildren, Jennifer (Emery) Lewis, Jillian (Joshua) Martin; great-grandchildren, Riley and Emery Lewis, and Eleanor and Elaina Martin, loving in-laws, nieces and nephews, and many very special friends who knew him as “Grampsy”. He was predeceased by a sister, Olive Hettinger; and brothers Harold Shuster and Paul Shuster. At the age of 17, Mr. Shuster joined the Navy and served on the USS Intrepid in the Pacific Theater during WWII where he was awarded the Victory Medal, American Area Campaign Medal, Philippine Liberation Medal, and Asiatic Pacific Area Campaign Ribbon. After the war, he worked as a mechanic and later an HVAC technician for Owens Corning Technical Center, Granville, OH, until retirement in 1990. Post-retirement, he served as an Oldham County school bus monitor for several years. Chuck loved the beach, reading, gardening, and spending time with his family and all their friends. He especially loved playing with his grandchildren and great grandchildren. He will be greatly missed by family and friends. A Celebration of Life Service will be held Saturday, April 27th, at Stoess Funeral Home in Crestwood, KY at 3 p.m. Family and friends may call from 1 p.m. to 3 p.m. A hero’s burial will follow at a later date at Barrancas National Cemetery located within the Naval Air Station in Pensacola, FL. The family extends heartfelt thanks for the very special care given by all members of the VA medical staff, especially the remarkable RNs and CNAs in the Hospice wing. Memorial contributions may be made to your local Hospice organization, or to the Intrepid Sea, Air, & Space Museum, Office of Institutional Advancement, One Intrepid Square, West 46th St. and 12th Ave., New York, NY 10036. There's still time to send flowers to the Time of Remembrance at the Stoess Funeral Home at 1:00 PM on April 27, 2019.